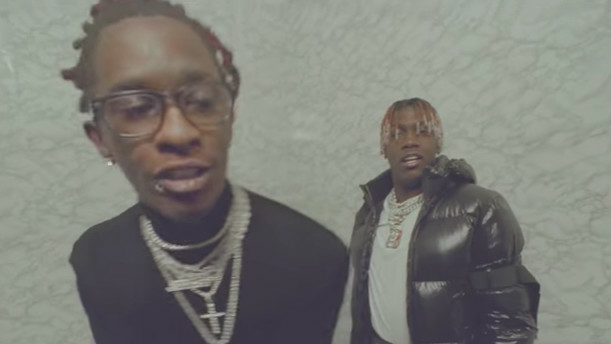 Last week, Lil Yachty dropped off a new track, "On Me" featuring Young Thug, and today (Oct. 5) has followed up with the official music video to accompany the feel-good collaboration. The video, which was shot in New York City on location at the Ace Hotel, features both rappers enjoying the company of a handful of women (and small dogs) while partying and hanging out in a private room at the landmark hotel. While such a concept isn't all that out of the ordinary for a music video, this Liam Macrae-directed visual holds a grainy, retro feel, with the scenes reminiscent of what a rockstar's hotel room party might look like in the '70s. Plus, there's small dogs, which is always a bonus. Take a look at the nostalgia-inducing visual for Lil Yachty and Young Thug's "On Me" below.